Recent sales of two works of art have together raised £4,850 for World Land Trust (WLT). A figural bowl made by Maureen Minchin raised £2,750 at auction at Bonhams on 1 October and a painting of a Spectacled Bear by Andrew Squire raised £2,100 at an auction arranged by Stafford Gallery in September. In both cases all commissions were waived which means that WLT will receive the full sum of £4,850. “Both Maureen and Andrew are long standing supporters of the Trust and we are delighted that the sale of their works has raised nearly £5,000,” said John Burton, Chief Executive of World Land Trust. Since its inception in 1989, WLT has been the beneficiary of works donated by many different artists, the first being Bob Linney who designed the poster for the Trust’s founding project, Programme for Belize. Since then other artists have donated works over the years among them Maureen Minchin, Andrew Squire, Nicola Bayley, Steve Cale, Andrew Haslen, Jackie Morris, Bruce Pearson and Lesley Wood. 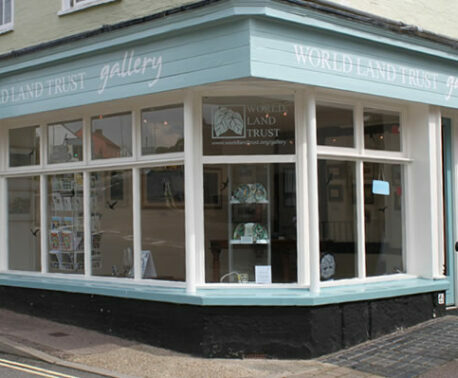 In 2011 WLT opened a gallery for wildlife and landscape art at WLT’s headquarters in Halesworth, Suffolk to generate a small income for the Trust’s charitable work. In 2014, WLT entered into partnership with the Wildlife Art Gallery. 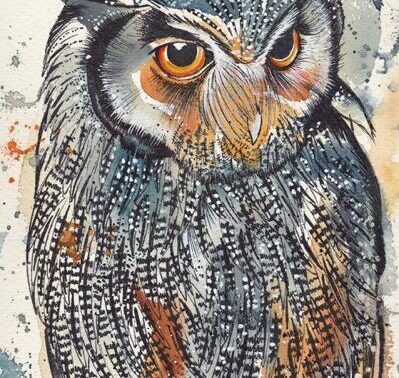 Established in Lavenham in 1988 by Andrew Haslen, the Wildlife Art Gallery is now one of the country’s leading wildlife art galleries. On display at WLT art gallery from 4 October 2014: Heron by RB Talbot-Kelly, ink and watercolour, 17cm x 17cm, framed, £550. “The quality of the exhibitions that Andrew is curating for us is exceptional, as is the calibre of the artists whose work is now on display in the gallery,” said John Burton, himself a collector of wildlife art. 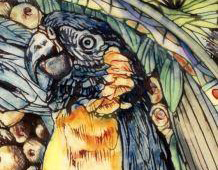 The next exhibition at World Land Trust art gallery, Wildlife Art of the 20th Century, opens on 4 October 2014 and runs until 25 October 2014. The gallery will be open during the first weekend of the exhibition, 4-5 October, 11am-4pm. Thereafter the gallery will be open Monday to Saturday, 10am-4pm. Works are for sale and purchased artworks can be collected after 25 October 2014.